A provocative, timely assessment of the state of free speech in America. With his best seller The Working Poor, Pulitzer Prize winner and former New York Times veteran David K. Shipler cemented his place among our most trenchant social commentators. Now he turns his incisive reporting to a critical American ideal: freedom of speech. Anchored in personal stories - sometimes shocking, sometimes absurd, sometimes dishearteningly familiar - Shipler's investigations of the cultural limits on both expression and the willingness to listen build to expose troubling instabilities in the very foundations of our democracy. 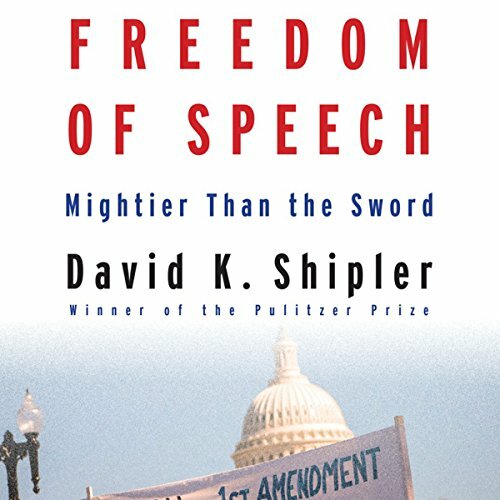 Focusing on recent free-speech controversies across the nation, Shipler maps a rapidly shifting topography of political and cultural norms: parents in Michigan rallying to teachers vilified for their reading lists; conservative ministers risking their churches' tax-exempt status to preach politics from the pulpit; national security reporters using techniques more common in dictatorships to avoid leak prosecution; a Washington, DC, Jewish theater's struggle for creative control in the face of protests targeting productions critical of Israel; history teachers in Texas quietly bypassing a reactionary curriculum to give students access to unapproved perspectives; the mixed blessings of the Internet as a forum for dialogue about race. These and other stories coalesce to reveal the systemic patterns of both suppression and opportunity that are making today a transitional moment for the future of one of our founding principles. Measured yet sweeping, Freedom of Speech brilliantly reveals the triumphs and challenges of defining and protecting the boundaries of free expression in modern America. ©2015 David K. Shipler Living Trust (P)2015 Audible, Inc.